Florida has had eight separate shark attacks in the last two weeks. Five of which have occurred within the last week alone. All of the shark bites were non-fatal. April 2, 2017: 17-year-old Caitlyn Taylor, of Louisville, Kentucky, was visiting Florida to play in a softball tournament when she was bitten by a shark while swimming in the Gulf of Mexico off of the Florida Panhandle near Destin. April 3, 2017: 16-year-old Kody Stephens, of Peachtree City, Georgia, was on a family vacation when he was bitten by a shark while swimming off of Daytona Beach. April 4, 2017: 51-year-old Melanie Lawson, of Marietta, Georgia, was bitten by a shark while standing in only three feet of water off of New Smyrna Beach, which is just a few miles south of Daytona Beach. April 10, 2017: 23-year-old Heather Orr, of Palm Bay, Florida, was bitten on the hand while swimming off of Melbourne Beach. April 10, 2017: A 10-year-old girl was bitten in the leg just a few miles south of Melbourne Beach. April 11, 2017: A 35-year-old Canadian woman was bitten on the calf while surfing off of Ormond Beach, which is near Daytona Beach and New Smyrna Beach. April 12, 2017: Kerry Keyton, of Palatka, Florida, was bitten in the foot while surfing off of St. Augustine Beach. April 14, 2017: 17-year-old Keenan Perry, of Jacksonville, Florida, was bitten by a shark in the ankle and foot in only 2 feet of water off of Jacksonville Beach. 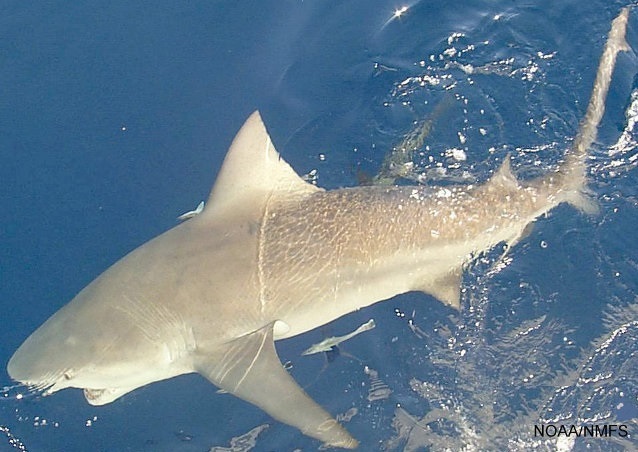 Although the species of sharks were not positively identified in any of the Florida shark bites, three shark species are responsible for the majority of attacks around the Sunshine State, according to the International Shark Attack File. Five of the eight shark attacks happened in just two Florida counties that have the historically highest number of shark bites, Volusia and Brevard, which lie just east of Orlando. University of Florida shark researchers say that the higher number of shark bites off the east coast of Central Florida is attributable to high aquatic recreational use by both Florida residents and tourists, including large numbers of surfers, and to the rich nature of its marine fauna.